Hi there! and happy solstice ! My card is made using one of the gorgeous new Button box fairies from the That Craft Place Etsy shop, available in digital stamp format. 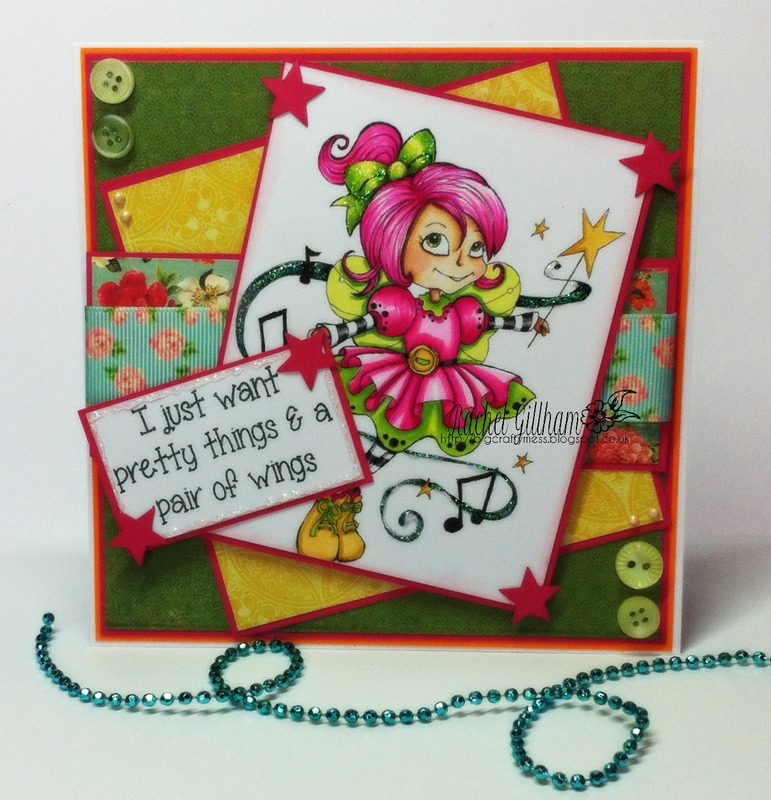 she is called ‘MIXIE’ and is ever so cute, perfect for a bright card! I teamed her with one of the sentiments from the fairy Betty Set – which is available at that craft place shop in clear stamp format (and includes fairy Betty image, sentiments and extras) ! the buttons too are from TCP and I have a big jar of various colours that I love to use on my projects. I love hunting through to find the perfect ones for my card, but often get sidetracked amongst all the pretties!